I’ve always wanted to grow food indoors because Edmonton has such a short outdoor growing season. But I haven’t had much success with using regular plant pots, and I don’t have space for an elaborate system with lights. So when I saw the EcoQube Frame Kickstarter campaign, I was really excited to try it out! 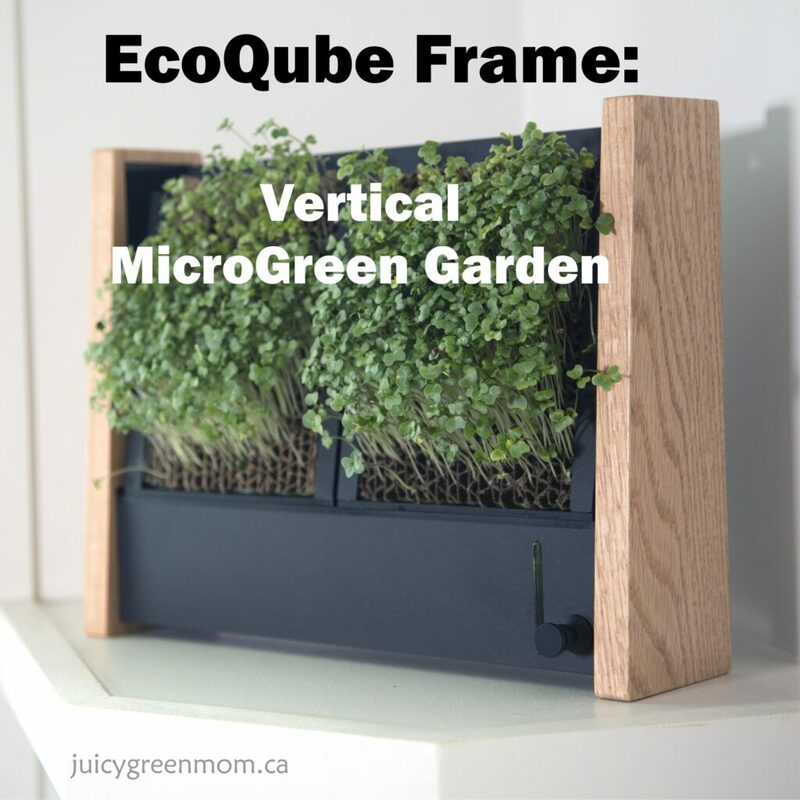 The EcoQube Frame is a soil-less system for growing microgreens. It can be placed on a surface, or it can be mounted on a wall. All you need to do is add water to the reservoir. The seed pads provide just enough water to thrive but not too much that they get moldy. The microgreens can be harvested in under 10 days. This is what comes in the EcoQube Frame kit: frame with inserts, seed pads, seed loader, scoop, and spray bottle (not shown). The frame is made from bamboo and food-safe acrylic. The kit includes eco-friendly seed pads and accessories for loading them with seeds. If you’re located in the USA, you can get pre-loaded seed pads (they can’t be shipped outside of the USA). 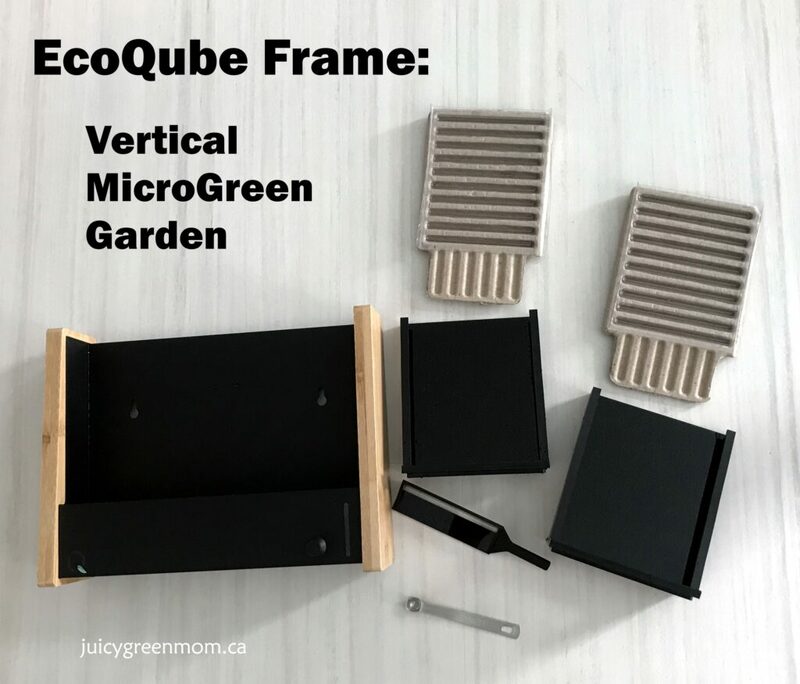 I love the space-saving nature of the EcoQube Frame! 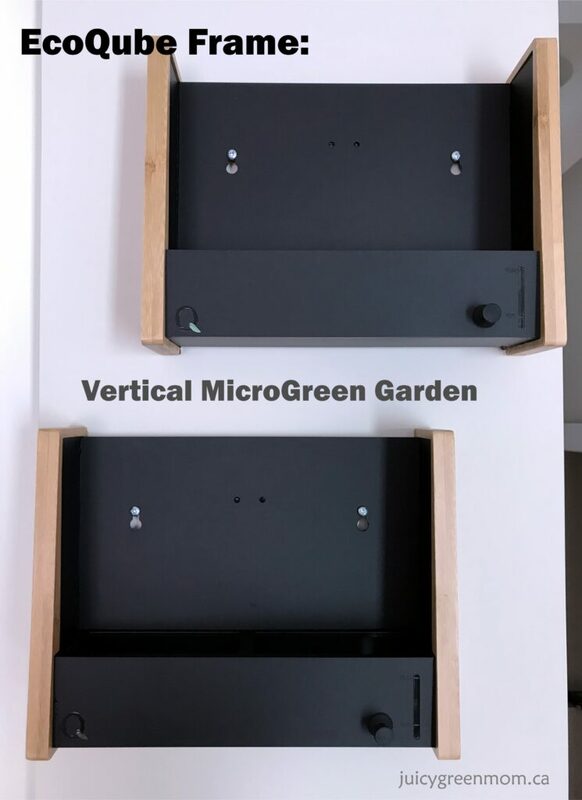 I put 2 of them on a narrow wall in my kitchen across from my west-facing windows. I’m really excited to start growing some microgreens! This page has all the information I need to get started. Basil, wheatgrass, and broccoli are suggested as easy seeds to start. Cool, right?? Stay tuned for my next post on the EcoQube Frame in action! Will you try an EcoQube Frame?